Atlantic Oaks is a modern campground with a long list of conveniences which have been custom-tailored	to meet the needs of RV’ers. 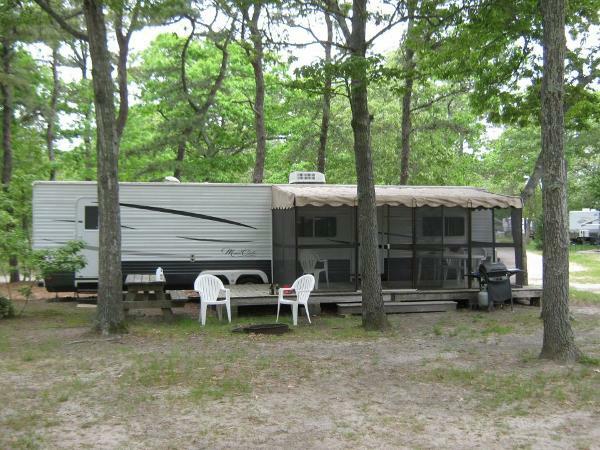 Large, wooded, pull-thru sites are not only equipped with the full hookups which you would expect,	but also include cable TV, a picnic table, and a fire pit. 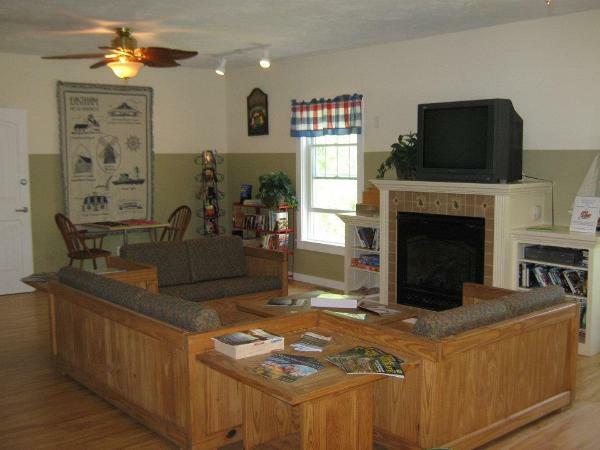 Amenities include clean modern restrooms, free private hot showers, wireless high speed Internet	service, a laundry, camp store, and LP gas sales. The exact tent sites will not show up on the online map, however a description of the site will display after you pick a specific site from the "Choose a Site" drop down box. To make a reservation for our Trailer Rentals or to check for availability of additional Tent Sites not listed online you must call the office. Our campground is ideally situated, in the Town of Eastham, only a half mile from the National Seashore Visitor Center and just	twenty miles from Provincetown. 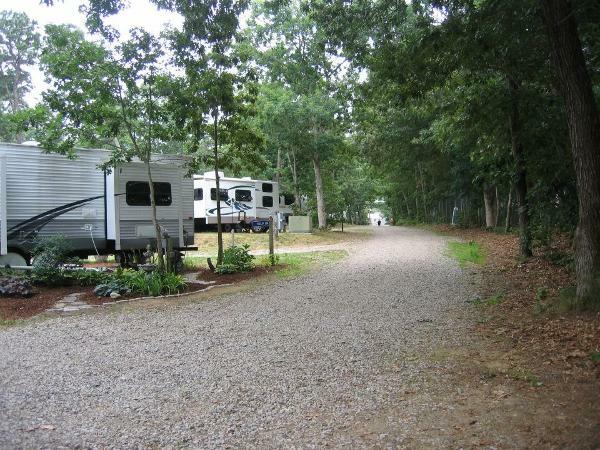 Bay and ocean beaches are nearby and the Cape Cod Rail Trail actually touches the back of our camp! While staying here at Atlantic Oaks, you may choose from many attractions in	the area. These include playing in the surf at the National Seashore, swimming in the calm waters of	the Cape Cod Bay, or bicycling any portion (or the entire length!) of the renowned Cape Cod Rail Trail. There are other nearby recreational options; take a whale watch trip from Provincetown, charter a fishing boat, or	launch your own from Rock or Wellfleet Harbors. 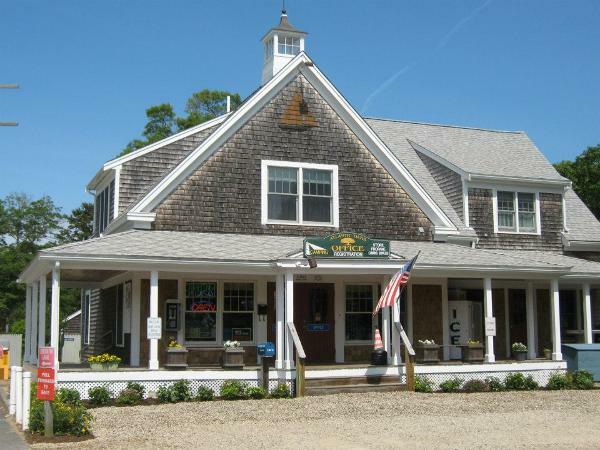 Excellent restaurants, gift and antique shops are all	close by, along with mini golf, the famous Wellfleet Flea Market and the Cape’s last drive-in movie theater.